Worcestershire are facing their first Specsavers County Championship defeat of the season after Sussex took 14 wickets on the third day at Hove and they were forced to follow on. Replying to Sussex’s 579 for 8, Daryl Mitchell and Brett D’Oliveira put on 215 – a new first-wicket record for Worcestershire against Sussex – before they lost all ten wickets in 30 overs either side of lunch. Bowled out for 312, they followed on 267 behind and Mitchell saw three partners depart at the other end, two of them to Chris Jordan, before he went just before the close for 54 as his side reached 124 for 4 at stumps, still 143 runs adrift. Jordan said afterwards: "It has been a brilliant day for us. Even when their openers were putting on 215 we created chances but once David Wiese got us the breakthrough with two quick wickets we never looked back. We just needed that bit of luck. With the bowlers we’ve got we knew we could get enough out of the wicket and run through them and that’s what happened. "When they followed on it was pretty similar and to get Daryl Mitchell out again just before the close was very important. It has given us an end to attack and hopefully we can carry on the good work and finish them off tomorrow." D’Oliveira had been involved in a controversial moment earlier in the day. Umpire Steve Garratt upheld Vernon Philander’s lbw appeal when D’Oliveira was on 71, although the batsman clearly felt he had hit the ball first. The batsman was making his way back to the pavilion when he was recalled after Garratt had consulted colleague Neil Mallender. Sussex finally made a breakthrough in the 67th over when Mitchell mis-judged a hook off David Wiese and was caught at long leg for 121, made from 211 balls with 20 fours and a six. It was his third successive Championship hundred and 27th of his first-class career. Wiese struck again when D’Oliveira (80) holed out to deep mid-wicket then Tom Fell was taken at slip as he pushed forward to Jordan, but the collapse really gathered pace after lunch when Archer and Philander took the second new ball. Archer took 4 for 21 in 7.4 overs with it to raise his tally of Championship wickets to 23. 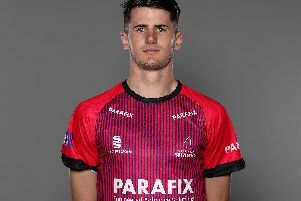 Stiaan van Zyl took his third well-judged boundary catch when Joe Clarke (22) failed to control a pull, Ross Whiteley (3) was yorked and Joe Leach (6) lbw to one which kept low before Archer ended the innings when Jack Shantry feathered a catch behind. Philander was no less impressive in a seven-over burst which brought him 3 for 31 as he picked up Ben Cox (12), Ed Barnard (22) and Josh Tongue, who was the South African's 500th first-class wicket. It was an impressive response by Sussex, especially as Steve Magoffin was off the field with an Achilles injury, and their patience when Worcestershire batted again was eventually rewarded. D’Oliviera and Mitchell had few alarms for 14 overs until D’Oliveira was brilliantly held by the diving Jordan at slip. Jordan then produced an excellent spell from the Sea End to have Fell held at mid-on – one of several Worcestershire batsman who had struggled to play the short ball – before Clarke played on and lost his off stump. Sussex claimed the key scalp of Mitchell six overs before the close when he shuffled across and was leg before to van Zyl for 54. Sussex will now fancy their chances of wrapping up their second win of the season on Monday.